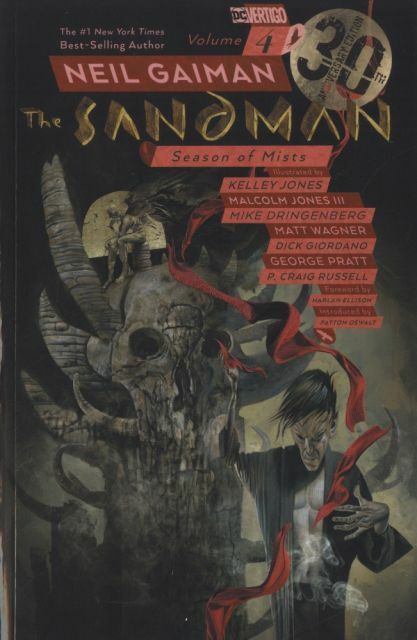 The 30th anniversary of Neil Gaiman's incomparable series THE SANDMAN continues with this new edition of SEASON OF MISTS, featuring a new cover by Dave McKean and a new introduction by comedian and actor Patton Oswalt! Ten thousand years ago Morpheus condemned a woman who loved him to Hell. Now the other members of his immortal family, the Endless, have convinced the Dream King that this was an injustice. To make it right, Morpheus must return to Hell to rescue his banished love-and Hell's ruler, the fallen angel Lucifer, has already sworn to destroy him.